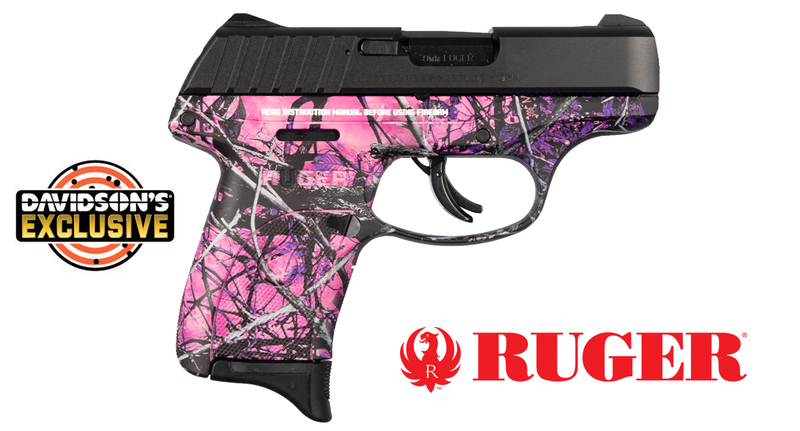 The Ruger EC9s is a striker-fired 9mm pistol. The short, light, crisp trigger pull makes for faster, more accurate shots. The EC9s is slim, lightweight and compact which makes it great for concealed carry and personal protection. It is just slightly larger than the popular LCP. The pistol has a rugged construction with through-hardened slide that has integrally machined fixed sights. The frame is one-piece, high performance, glass-filled nylon with checkered grip areas for a secure and comfortable grip. This Davidson's Exclusive model features a Muddy Girl Camo finished frame. This slim, lightweight pistol still has plenty of fire power with a 7+1 capacity. Included is a finger grip extension magazine floorplate that can be used for a more comfortable and improved grip.